"Let's Sell Your House and Find Your Home"
We are real estate experts. Let us help you! We have a genuine desire to help you achieve your real estate goals while negotiating smartly to protect your best interests. To us, every individual is unique, as is every transaction. As such, we approach each client and deal with an open mind, and addresses every challenge with fresh eyes and energy. Kari is a proven winner. She has incredible reviews on Zillow (see for yourself! ), and not only does she have more than 100 real estate deals under her belt, but she has an outstanding success rate. When multiple offer situations arise, Kari’s clients win in over 95% of those instances! Put the Kari Haas Real Estate team behind you. Call or email us today! Exceptional! Kari exudes a passion for real estate that carries through to every client whether you are a buyer or a seller (or both)! Kari is dedicated to selling your home for a price that is acceptable to you and often exceeds expectations - plus she loves helping buyers find the right home that will meet your needs and fulfill your dreams while keeping your budget in mind. 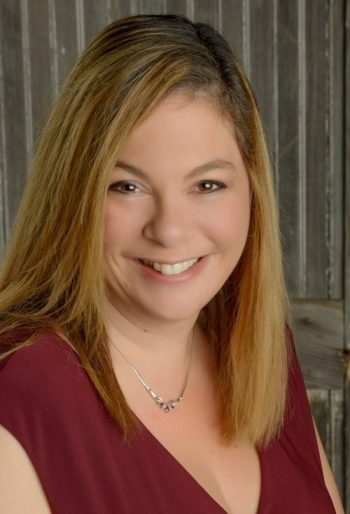 Kari understands the emotional and financial implications to the home buying and selling journey and she works hard to make the process smooth and keeps you informed. Kari greets each opportunity and challenge with a fresh eye and energy. Kari specializes in selling for more and buying for less while managing the process and providing support, guidance, knowledge and education so you feel confidant from beginning to end. Our exceptional marketing and negotiations skills help you succeed and exceed your expectations. Let's Sell Your House and Find Your Home! Scotty Brown strives to become the trusted advisor and confidant to you and your family in order to help you sell your house and find your home! Zelle works tirelessly to promote your listing through all channels, setting the stage for attracting multiple offers, driving up the selling price. Darren has an attentive eye for detail. He meticulously ensures that all transactions run smoothly and without delay. With over 30 years in business and finance, Patrick guides the team in making moves that allow for maximum client support. The greater Seattle area has 19 out of the top 25 hottest real estate neighborhoods in the entire country. Despite this when representing a buyer, we win in 95% of multiple offers situations. The Real estate NAR Median day on market is 40 days, and Kari Haas Real Estate Team is 12 days. When representing the buyer, our negotiation skills got our average price down to 1.79% more than the listing price but while representing the seller, our marketing skills gets our average price up to 5.50% over listing price.